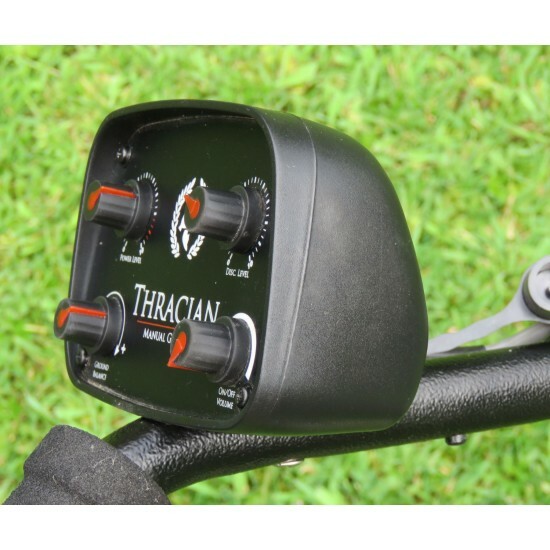 Original Thracian metal detector is a 13 kHz working machine. At this frequency the detector goes deeper with bigger objects and still detects very small targets. It's suitable for use in trashy areas /where there are lot of iron objects near each other/ or in high mineralized soils. 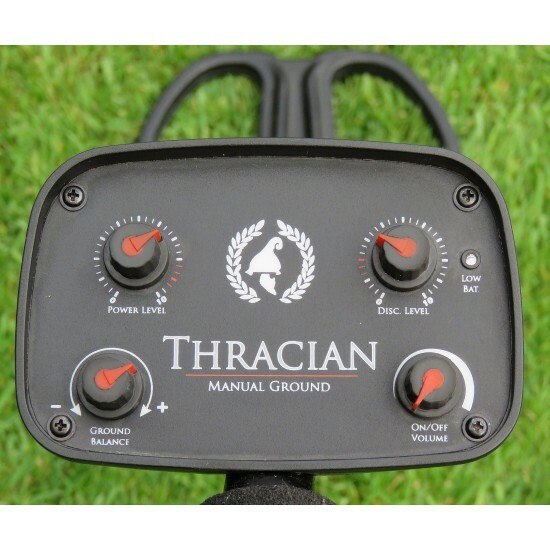 ​Thracian Manual Ground metal detector has an excellent recovery speed which makes possible to detect small coins near iron. A special cable made of high quality andwith common shield, designed to provide for greater mechanical strength and extended product life of the coil, strong boxes of ABS are providing perfect balance and quality. Very light middle and lower stems, made from 100% carbon. Search coils are made of ABS plastic. Its lower end is covered with epoxide resin, which adds strength and hermetic seal to the whole construction. You can choose which coil you like to add to your detector. Please, use the button above.If you choose to buy GM Thracian without a search coil, please use the search coils listed below! Diameter 30cm/ 12 inch. The coil is waterproof! Middle size between small and big search coils. This coil is a little heavier than the other Golden Mask search coils, but this is with purpose. It's so built that you practically don't need a search coil cover. Very strong, waterproof and with excellent results. Light, sensitive, strong and deep. 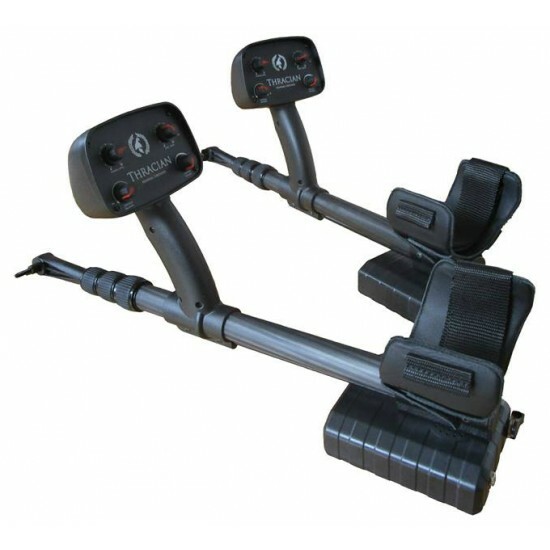 It's made for searching near stones, roots and small spaces.The coil is waterproof! Excellent choice for bigger objects, but with great sensitivity. This search coil is suitable for high mineralized soils. It is waterproof! We do not ship this model to Ukraine!